Have you been looking everywhere for a company that can perform garage door installation in Maryland that is up to your high standards? Your home is very valuable, so you need a company that specializes in Maryland garage door installation of only the very highest quality. All About Doors, Inc. is the company for you. We have been working on Maryland garage doors for years, and we have highly-trained specialists who will be able to make sure that all of the residential garage doors in MD are installed perfectly, with no damage to your home or garage, so that they work for years. Take the time to make sure that the job is done right. Use high-caliber parts from companies like Clopay. Use only the best door openers, supplied by Liftmaster. Never cut corners in order to get the job done quickly. While another company may do the garage door installation with inferior parts or in less time, trying to get more money from you, we would rather make less and do a quality job that we know that you will love. No matter what type of Maryland garage doors you need, whether they are residential garage doors in MD or another style altogether, we know that we have done a similar Maryland door installation in the past. This experience helps us avoid mistakes and ensures success. 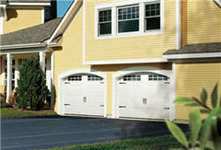 Are you interested in learning a bit more about a garage door installation in Maryland? If you are, feel free to call us at (410) 777-5397.